Joseph James Balko died Saturday, May 21st after he collapsed as he finished a race in the Regional Track and Field Championships in Fairbanks, Alaska. He was 15 years old. While they say “there are saints known only to God,” Joseph is a saint well-known to God and to the Fairbanks community. Posted in Godly Play® News on May 28, 2016 by Regan Schutz. Book Reviews from the Center! Center for the Theology of Childhood. The Center’s book reviews are available here and more will be added periodically. 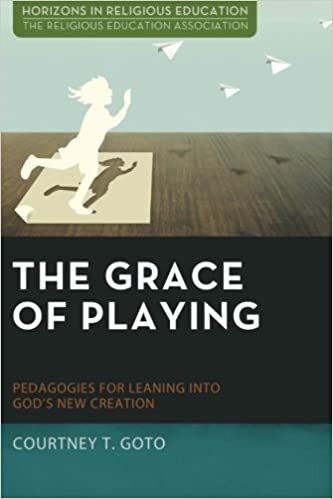 The first book reviewed in this series is The Grace of Playing: Pedagogies for Leaning into God’s New Creation (2016) by Courtney T. Goto. Posted in Godly Play® News on May 26, 2016 by Regan Schutz. Professor Goto was educated at Mills College (BA), Harvard University (MTS), and Emory University (PhD). She is currently Assistant Professor of Religious Education and Co-Director of the Center for Practical Theology at Boston University School of Theology. She is a third generation Japanese American, United Methodist. Posted in Book Reviews on May 16, 2016 by admin.